No sound, just a quick video to show it is alive and kicking. Proper demo coming soon! The plan is that as new functions are added, they will be available to both v1 and v2 owners (with the exception of things that cannot work in v1 because the hardware is not there - e.g. a complete unit without MIDI extension). I am updating the firmware so it detects which board it runs on, and behaves accordingly. At the same time this allows to verify that every sub-system of new model is functional. 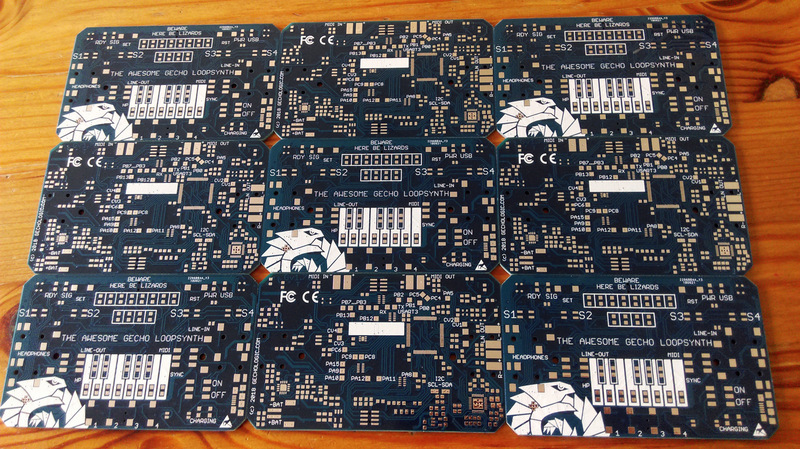 As you've probably heard before, the first batch of Gechos was manufactured for our Kickstarter backers, plus some reserve - and because 99.5% of the boards actually worked, there were enough left for people who discovered the project later... till recently. We are going to demonstrate how to implement a new, completely different type of synthesis (or maybe better called a sound processing as the sound is not really synthesized). You can control parameters interactively (start, length of grain and number of voices), and replace the grain source material (or part of it) in real time. In result, this creates very interesting sounds and is a lot of fun to play. The hardware is capable of sampling up to 1 second of stereophonic sound, and playing pieces of it back in parallel, as up to 40 grains per ear. The rest of the memory is reserved for echo/loop buffer, if that's not required, sampling time can be increased. The channel #234 has been printed on the quick-start sticker, but left to be implemented later, as I thought it will give excellent opportunity to demonstrate how can you expand Gecho's functionality. It is relatively easy to do and a lot of fun! The goal here is to make a channel where you can create and play back sequences, using the four built-in drums (at least for starters). You will learn how to play back a sample stored in MCU's FLASH memory, detect triggering of proximity sensors, and control LED lights. The whole operation could be described in one sentence: Drive individual drums by four sensors, store these events into memory and play back on the next loop. For a while now I was wondering how hard is it to find out. Smart speakers are doing it with arrays of microphones and sophisticated DSP algorightms, but how complicated is it really? 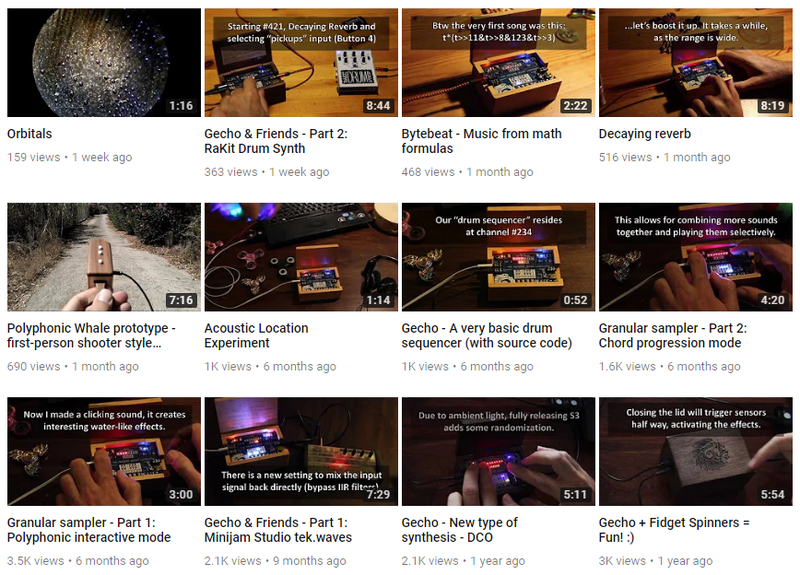 Is Gecho's hardware and CPU power enough to get at least some meaningful results? How complex code do we need? Sound travels at around 343 m/s in the air at 20 degrees celsius (this speed varies with the temperature rather than atmoshperic pressure, here is a handy calculator). In other units that are easier for us to imagine, this is about 1235 kilometres or 767 miles per hour. Or, the other way around: what time it takes for sound to travel for example 10cm? It is 0.1 / 343 = 0.00029 seconds, or 290 microseconds. Is that too short? Perhaps our processors operate at that scale. Let's see. 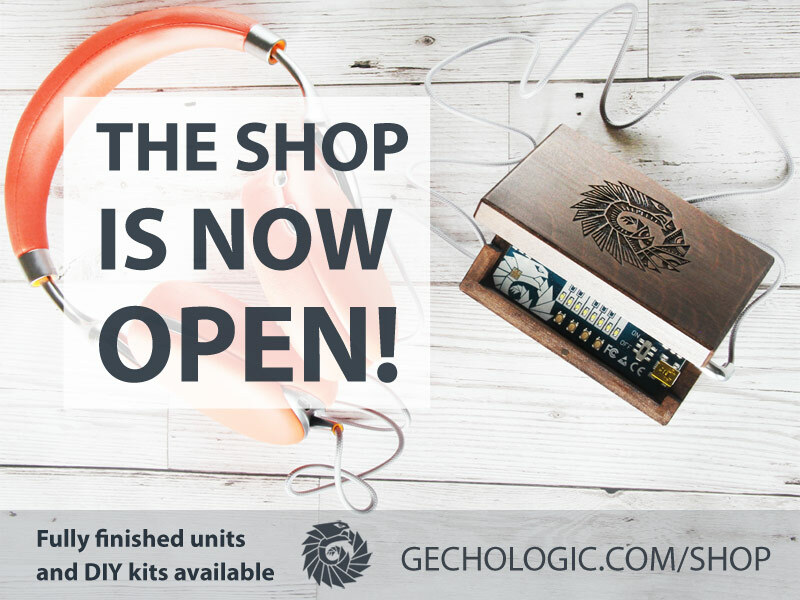 Kickstarter has been fulfilled, shops open and recently sold out as I've ran out of certain material. There are still some boards left so the plan is to re-open early next year. This allows me to get back to expanding the firmware for the time being. The list is quite long, but one feature that you guys were asking about a lot was syncing with other devices. 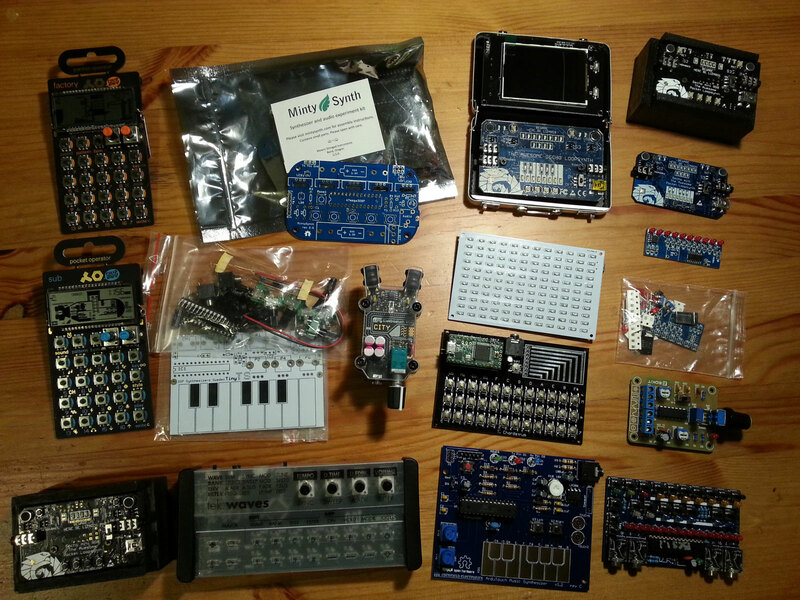 I'm starting experimenting with my humble but growing collection of prevailingly DIY synths, most of them have some kind of clock input or output.